Escape from Hell (a.k.a. 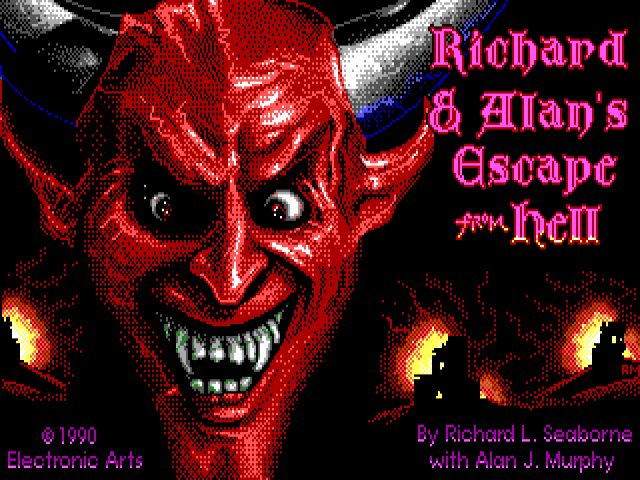 Richard and Alan's Escape from Hell) is a weird and wacky DOS role-playing game released by Electronic Arts in 1990 and designed by Richard L. Seaborne with Alan J. Murphy doing the graphics and artwork. Setting-wise, it is a parody of and a cross between Dante's Inferno and Bill & Ted's Excellent Adventure. It tells a sad and instructive tale of a high school student named Richard who suddenly finds himself alive in Hell, most likely as a result of being a software pirate, and in an attempt to rescue himself, his girlfriend Alison, and his friend Alan bands together with famous historical and literary figures such as Stalin, Ghenghis Khan, Dante, Hamlet, Mozart, and others, fights Al Capone and Satan, learns new skills, e.g. archery from Thucydides, and generally has a hot time. 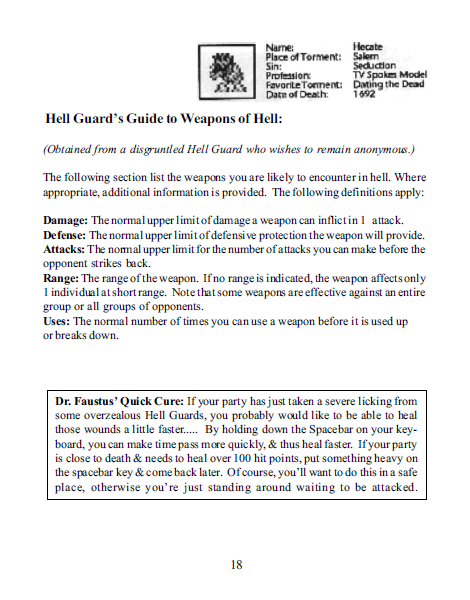 This isn't a quest-driven game - it isn't broken down into quests or missions - nor a story-driven one; rather, it's all about exploration, interaction, and problem solving, with one overarching goal: escaping from Hell. Oh, and Mobygames has this game listed under "Horror". Go figure. 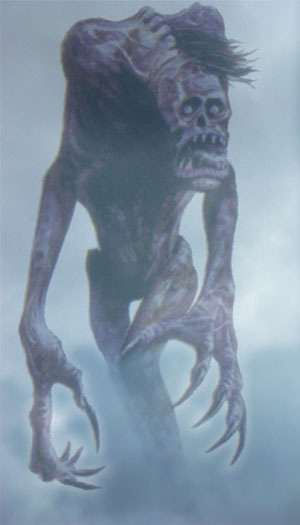 On the technical side, it is one of just three cRPGs developed using the Wasteland engine, the second one being Wasteland itself and the third one the infamous Fountain of Dreams, Wasteland's inferior sequel. 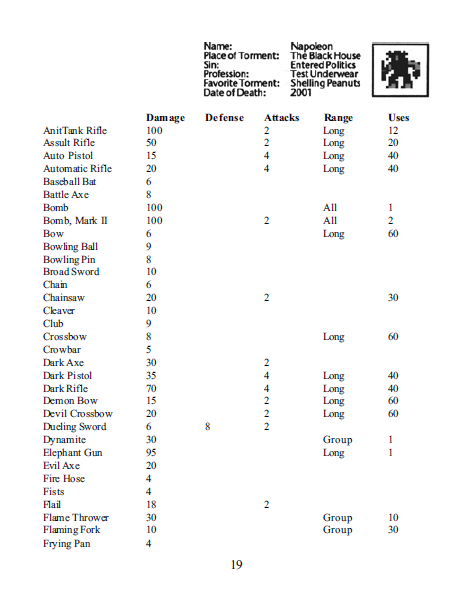 It is top-down, turn-based, and not only stat-, but also skill-based. Skills are divided into passive and active and need to be learned from trainers rather than increased by usage. 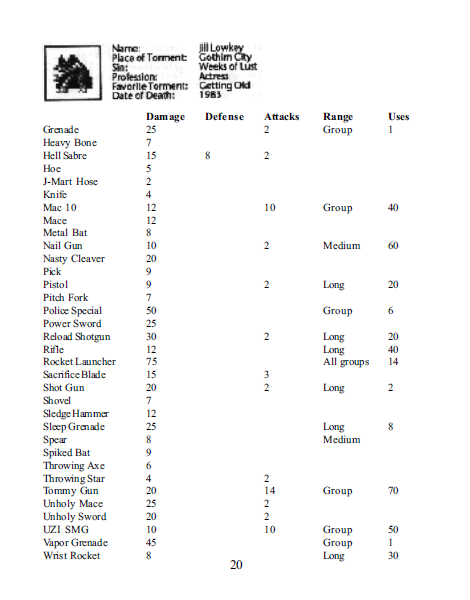 Most of the skills are combat-oriented, though some (such as hacking, swimming, and others) apply to non-combat activities. 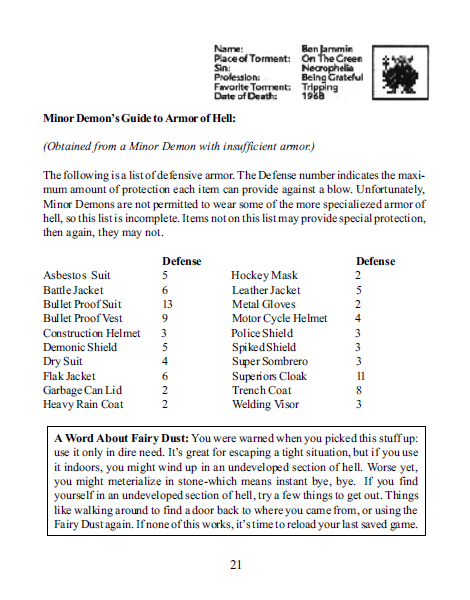 Unfortunately, Escape from Hell only features a three-character party, so the tactical aspect is limited. The main challenge is to decide is who joins and who leaves Richard's side; this being Hell, there's a wide selection of famous individuals available, each having his own characteristic set of stats and skills. Companions you recruit tend to sometimes abandon you at most inopportune moments, though, which is supposed to add to the challenge. What kind of LP will this be? This will be a screenshot LP, with GIFs for whenever a particular character portrait animation is introduced for the first time. The update rate is going to depend on how hectic things are for me in real life, but I believe I can promise (or rather, hope I can handle) one longer or two shorter updates a week. The protagonist's name is, alas, fixed, but I'll attempt to add some interactivity to the LP by sometimes letting the audience choose which companion we should recruit: Ghenghis Khan or Horatio? Dante or Dr. Jekyll? Oh the tyranny of choices. As for the consequences, don't worry about those; I'll do my best to deal with them myself. 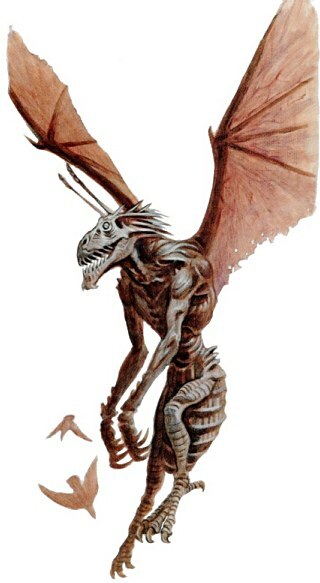 16: Hi there. Are you lost?